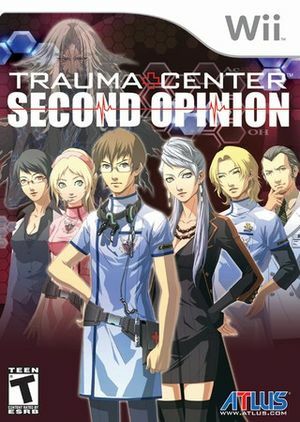 Trauma Center: Second Opinion known as Caduceus Z: Two Super Surgical Operations in Japan, is the second game in the Trauma Center Series. Second Opinion is the first to be available on the Wii, was a launch title for the system in North America and Japan, and made full use of the Wii Remote and Nunchuk attachment. This version is a remake of the game Trauma Center: Under the Knife for the Nintendo DS, although its graphics and mechanics were completely redone to take advantage of the Wii's motion-sensing controls. The player takes control of Doctors Derek Stiles and Nozomi Weaver who is a new addition to Second Opinion. The game also features more voice acting than the original, difficulty levels, a new "Z" chapter that focuses on Doctor Weaver, and a sixth chapter that is different that takes place after the original chapter. The graph below charts the compatibility with Trauma Center: Second Opinion since Dolphin's 2.0 release, listing revisions only where a compatibility change occurred. 5.0-1528 Windows 7 Intel i5-3570k NVIDIA GeForce GTX 770 PLAY WITH ROTATION BOUND TO AN ANALOGUE INPUT. With the way Dolphin handles rotation, the Z Chapters are impossible without an analogue input. Trust me, I tried. Fully playable in terms of performance, solid 60, no problems. Completed with an Emulated wii remote consisting of mouse and controller (A PSMove analogue controller was used but half an Xbox controller can also do the job). This only really caused problems in the "An Explosive Patient" level, due to how Dolphin emulates rotation and forward/back motion. This page was last edited on 16 January 2018, at 08:32.